I have opened a Book of Condolence to allow the public to express their feelings for all the victims of this tragedy and to highlight our concern at the loss of life on all sides of this conflict. I call on all the protagonists to refrain from any action which may result in more civilian casualties and would reiterate that the conflict can only be resolved through negotiation. Email “Book of condolence for Gaza victims to be opened tomorrow in Dublin”. 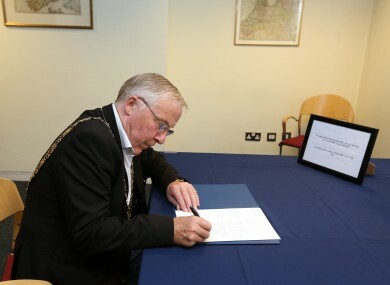 Feedback on “Book of condolence for Gaza victims to be opened tomorrow in Dublin”.